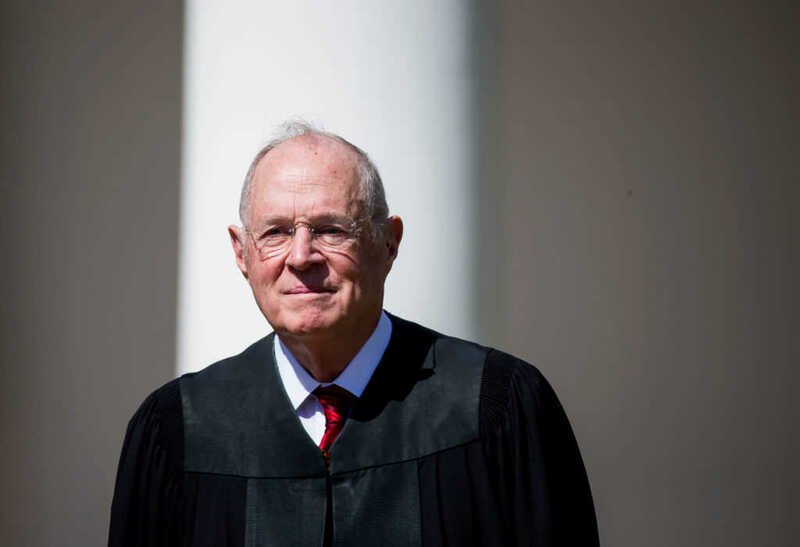 Following the announcement that Supreme Court Justice Anthony Kennedy was to retire at the end of this month, many evangelicals are excited at a prospective overturning of the Roe v Wade ruling that legalized abortion nationwide. President Trump has already assured supporters that he will pick a new judge from the same list he selected Neil Gorsuch — who, while he had yet to rule explicitly on abortion when nominated, was on the record as a staunch critic of Roe v. Wade and his belief that abortion is the death of a physical person. But, while a conservative-majority Supreme Court bench is now a strong possibility, “The Gospel Coalition” writer and Senior Pastor of First Baptist Church of Grand Cayman, Thabiti Anyabwile, has urged evangelicals to curb their enthusiasm when it comes to the Trump administration’s latest successes. However, for the millions of evangelicals who voted Trump into office, Kennedy’s resignation is the latest in a string of “wins” for their pro-life agenda. Why shouldn’t they dream of a future where fewer abortions are occurring, and the sanctity of life regains the moral high-ground in the political sphere? Thabiti noted the widely criticized 5-4 ruling of the Supreme Court that was of the opinion that President Trump’s controversial policy to prevent people from Muslim-majority countries visiting the USA should be upheld. The president declared the Supreme Court’s decision a “tremendous victory for the American people,” but Thabiti and his associates took a very different view after learning of the news. It’s not that the pastor believes that abortion in America is of little concern. The pastor admitted that “Christians are correct” to spend themselves on attempting to end abortion in America, but noted that “in quieter, sometimes less observable ways, the carnage mounts in racial injustice and discrimination” under the Trump presidency. Now is the time for Christians to stand up against all types of injustice, and to recognize the ills of both systemic racial inequity and the moral corruption of abortion, Thabiti urged. “I’m for overturning Roe, but I’m also for protecting black and brown lives from racism and the kind of criminalization that swells our prisons and devastates communities or separates families at the borders,” he concluded. There is no doubt that the overturning of Roe v. Wade would be one of the biggest political moments of our generation. There has, however, been some strong dissent from a few Republican senators already. Senator Susan Collins of Maine has declared that she would not support the choosing of a Supreme Court Justice who intends to try and overturn the “settled” 1973 decision that legalized abortion in the United States. It’s clear that both supporters and opponents of the President are jumping to conclusions on a nominee that has yet to be chosen — driving enthusiasm on one side, outrage and fear on the other. While not all pro-life evangelicals have given a free-pass to Trump, many of the loudest voices have. However, it should be noted that much of the abortion industry itself was originally founded in eugenics and racism, and to this day leaves it’s biggest footprint in low-income minority communities.